Sydney H. Moore was Headmaster of Silcoates, a school near Wakefield founded to educate the sons of Congregational ministers. He was a linguist. French, German, and Spanish were his languages. A London graduate, he had studied at French and German universities. 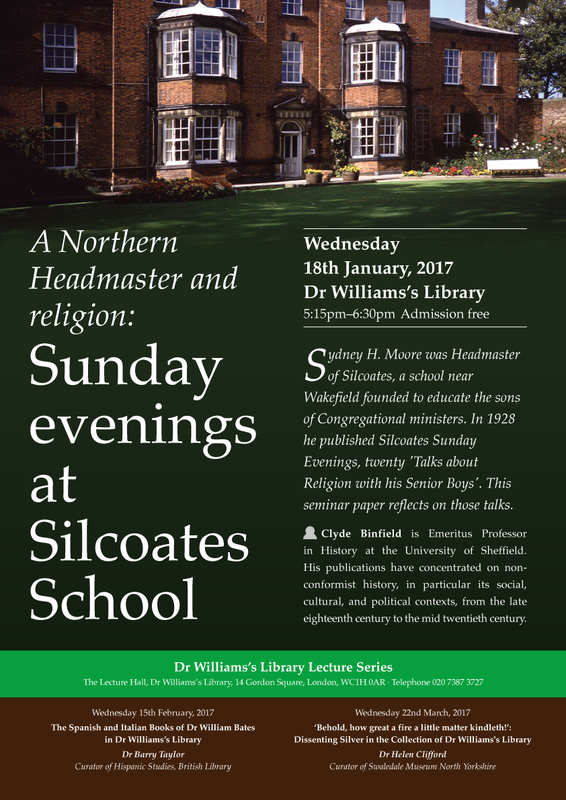 Silcoates was a small school, always short of funds; Moore was a big, perhaps a great, headmaster. He knew the Free Church School scene. He had previously taught at Bishop's Stortford College and Eltham College, the latter founded for the sons of missionaries. He was at Silcoates from the end of the First World War to the middle of the Second World War. In 1928 he published Silcoates Sunday Evenings, twenty 'Talks about Religion with his Senior Boys'. This seminar paper reflects on those talks.